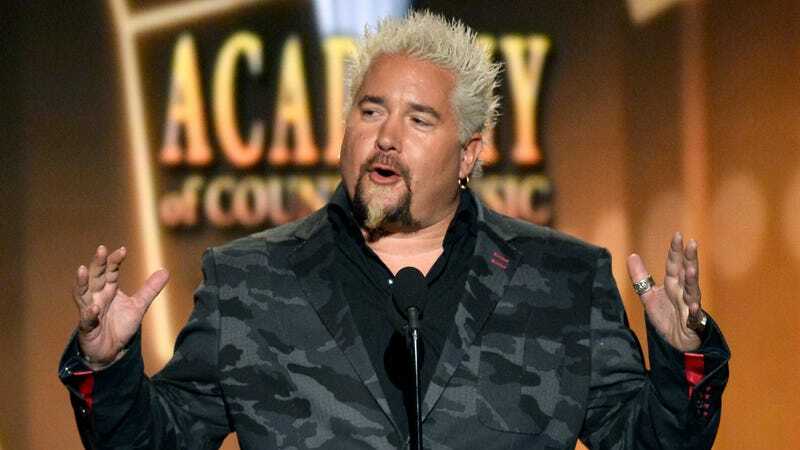 Don’t ask how we came across Fieri’s Follicles, just know that we did. The company offers a service in the vein of those name-a-star-after-your-girlfriend sites, except instead of ethereal constellations, you’re naming Guy Fieri’s face hairs. Well, sort of. The site is not actually affiliated with Guy Fieri, so they don’t guarantee that the Mayor Of Flavortown will start referring to his goatee strands as Brad, or whatever. Instead, the website’s creators send you a certificate and two novelty tickets to Flavortown; the only real bit is that they’re going to keep your money. “Standard” hairs start at $10; “Binary” hairs—a set of two—go for $15; “Constellation” hairs go for $20 and are “The Rolls Royce of the hair registration world.” Fieri’s Follicles’ owners state in the FAQs that they do profit from the site, but also donate a portion to Fieri’s charity for kids. The concept is super weird, but could presumably make an excellent gag gift for a person in your life with a very strange sense of humor and an abiding love for Diners, Drive-Ins And Dives. Maybe bookmark it for next year’s office Yankee Swap.